I am lucky enough to have found the man of my life when I was 21 years old. He happens to be black. Yes, you read that correctly, he happens to be black. Let me explain. I always prayed for a husband who shared my spiritual beliefs, my morals, would make a wonderful daddy and a loving partner. I didn’t specify a race, a height, or any other physical characteristic. It isn’t because I forgot, it’s because it doesn’t matter. Love can come in a variety of packages. So why narrow down the field based on the color of someone’s skin? So, here are a few truths about being in an interracial relationship here in the United States, and yes, even in 2014. Haters gonna hate, and they come in all shapes and sizes. White, black, educated, uneducated, family members, friends and even strangers will pass judgment. No, it isn’t just that old white guy wearing a Confederate flag t-shirt who is prejudiced. Just as love comes in a variety of packages, unfortunately so does hate. It is hard finding a church. Believe it or not, one of the most segregated places still in America is church. We were lucky to have belonged to the most wonderful church in Chicago. It was multicultural, multilingual, multiracial and celebrated diversity. Since moving away, and even living in large cities, we have found it difficult to find a church that even comes close in its diversity. Unfortunately, this sends the message that race is still “important”, even in church, where it should matter the least. You get used to the stares, which happen a lot. Admittedly we get a lot of stares not all because we are an interracial couple. There is a big size discrepancy as well – my husband is 6’6” and I am 5’2” (on a good day). That being said, you get pretty good at deciphering which ones are benign and which ones aren’t, and overall you just start to ignore them all. If you are out with your child alone, people assume that he/she isn’t your child. Even though my son actually looks a lot like me, it is oftentimes assumed I am his babysitter. Our children understand at a very early age that it’s what is on the inside that counts. No matter the “mix”, children learn very early on if they and their parents don’t look like so-and-so and their mom and dad. So the advantage is, I won’t ever have a child that doesn’t appreciate diversity or be inquisitive instead of judgmental when faced with new foods, languages, and cultures. This entry was posted in Family, Marriage and tagged biracial children, Chrissy Teigen, church, Halle Berry, Interracial relationship, prejudice, racism, segregation, Shemar Moore by surgeoninkicks. Bookmark the permalink. My husband and I are also different races, he’s white, I am not. He is always amazed at how racist people are as it has never occurred to him I am different to the majority. The place we have had most trouble with staring is the local supermarket because we live in a white surburb. I have to admit though, that after nearly 20 years, I don’t notice it so much anymore. 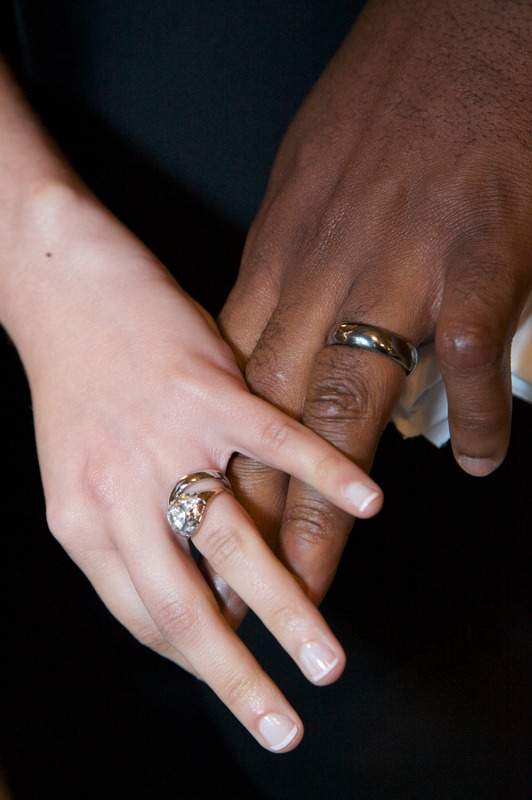 I guess I am also in an interracial marriage. I have to be honest that I have never thought about it that way, and it is almost never on my radar screen. I wonder if this is a Canada vs US thing or if it’s just me being oblivious. Sing it girl! !not only are we black and white…I’m also 6 years older than my boyfriend! Be proud and happy. What we look like doesn’t matter.